Liezl A. Buenaventura holds a certificate in U.P. Fine Arts: Studio Arts-Painting, and is currently finishing a BFA degree in Fine Arts: Visual Communication- Advertising. 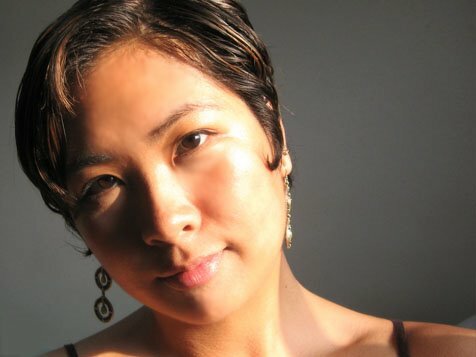 She is of Filipino-Chinese descent and resides in Tokyo, Japan where she works as a freelance artist and English teacher. She also eats canned tuna a lot, because while being a freelance artist/graphic designer is extremely fulfilling, it doesn't necessarily translate to being monetarily successful when coupled with being completely unknown. Still, she is quite grateful for the opportunity to do what she loves, and hasn't yet lost hope in getting her proverbial Big Break. It remains to be seen if the aforementioned break will be as an artist, or as a dancing banana handing out flyers on the street.